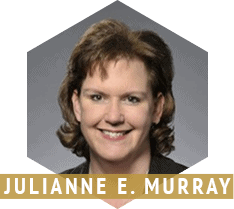 Before practicing law, Julianne E. Murray worked for 20 years in a law firm environment, equally split between technical paralegal work and law firm management. Julie continued to work as a law firm Administrator while attending law school until her final year of law school where she served as a judicial extern to Justice Henry DuPont Ridgely of the Delaware Supreme Court. Admitted to practice law in Delaware in 2011, Julie opened Murray Law LLC in early 2012 because she had a vision of a law practice that was based on constitutional principles and marked by personal service and a common sense approach. She introduced herself and her practice by doing a daily call-in on a local radio show. For eighteen months, she used the call-in time as an educational segment that focused on various aspects of the law and conducted many “schools” on topics such as the U.S. Constitution, the Delaware Courts, real estate, landlord/tenant law, traffic offenses and estate planning. In January 2015, she and Ron Phillips formed MurrayPhillips P.A. 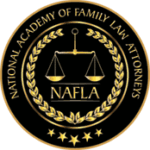 The partnership turned out to be beneficial for clients because Julie and Ron discovered that in addition to being partners in business that they really like working together and often collaborate on criminal defense cases because each brings different strengths to a particular case. In September 2017, Julie and Ron welcomed Tom Gay as a partner, forming the Law Offices of Murray, Phillips & Gay. Julie’s current practice is principally concentrated in two areas: estate planning and administration and criminal defense. Julie’s down to earth approach to the practice of law is appreciated by her clients and she prides herself on being candid, approachable and easy to work with. Julie takes the responsibility of being an attorney very seriously and zealously represents her client’s rights. Julie has argued before the Delaware Supreme Court three times in four years and loves the challenges of appellate practice. Julie and her husband Patrick moved to Delaware in 2003 from Anne Arundel County, Maryland. They are both pet lovers and avid baseball fans. If you want an attorney who is a down to earth, understanding and a passionate advocate, contact Julianne E. Murray.